After the Sacramento Kings’ most successful season in 13 years, General Manager Vlade Divac stunned his team and his fans by firing Head Coach Dave Joerger. Divac has been known for making stunning team decisions like these that appear to be disasters at the time, but turn out okay in the long run. The most stunning move, of course, was the DeMarcus Cousins trade. I never thought that was a bad move for the organization, but I know their fan base was reeling after the decision. Overall, the trade proved to be good for both the Kings and Cousins even though I wasn’t entirely impressed with the way Cousins was jerked around at the end. At face value, it would seem that firing the coach that’s moving your team forward is a bad move, but I like to look at all of the facts. It’s easy to throw out a misleading headline like, “Kings fire Head Coach After Best Season in Over a Decade,” as click bait, but what’s the real story? Afterall, Divac isn’t a rookie high level professional. His resume includes positions like KK Partisan President, LA Lakers Scout, Real Madrid Baloncesto Club Management, Serbian Deputy Prime Minister’s Adviser, and the President of the Olympic Committee of Serbia before taking his position with the front office in Sacramento. What does all that mean? To me, that means Divac knows a thing or two about leadership and building lasting successful corporations. 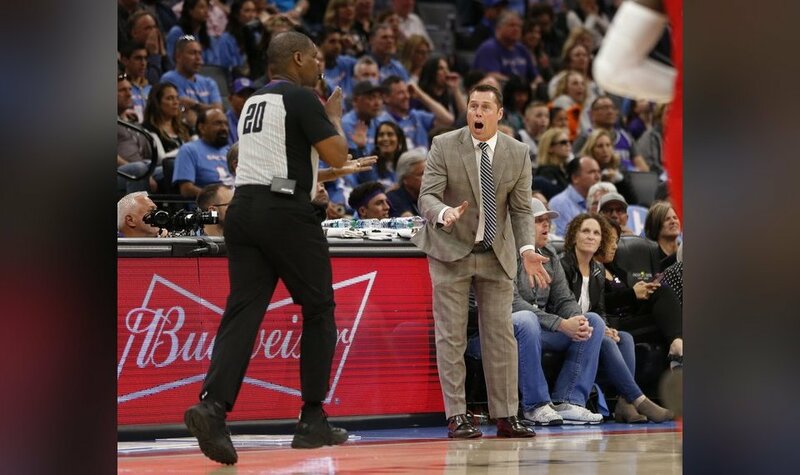 You see, Joerger wasn’t the only one who was fired in the Kings’ front office this week. Assistant General Manager Brandon Williams was also canned in an effort to “consolidate power” within the organization. Joerger had been openly critical of the team’s choices in selecting and passing up certain players, which was perceived as a shot at Divac and Williams directly. Most notably, Joerger was outspoken about praising Dallas Mavericks’ rising star Luka Doncic, while expressing concern about the Kings’ selection of Marvin Bagley III. Williams also sniped at Joerger publicly starting rumors that there was strife within the Kings organization. Perhaps Joerger praising Doncic publicly seems innocent enough, but I actually see it as extremely divisive and undermining for his team. It’s one thing to have heated debates about company decisions behind closed doors, but once the team faces outsiders, it’s a unified front that they need to present. Amazon employs a similar principle, and although they’ve recently had some bad press, it would seem that the company is on the rise. Big companies attract big attention so it may not be a bad idea to take a page out of Amazon’s book. They adhere to a company philosophy called “disagree and commit.” This philosophy states that employees can disagree with a decision while it’s being made, but once the decision is final they must commit to the decided path. This principle hones in on when it is appropriate to disagree with a decision. It’s healthy to disagree during the process, but detrimental to the organization once the decision has been implemented. This helps organizations avoid what’s called the “consensus trap” where a lack of consensus leads to inaction. I see Joerger’s comments, while seemingly positive and complimentary of the Mavericks’ new recruit, as a direct violation of “disagree and commit”. To Divac, that could be a serious signal that Joerger isn’t the man to take the team where they need to be long term. Divac has been with the Kings since 2015, and the team has made some notable improvements in his time. While controversial, I’d say his moves can be trusted and I would bet money there is much more to the story that we don’t yet know. The Kings were a playoff contender for the first time in many years this season, and I fully expect them to rebound and find a better coach to further the team’s mission next year.